On September 29th 2015, John Jay College launched a year-long initiative, Bridging the Divide: Re-imagining police-community relations. Initiated by President Jeremy Travis, the Bridging initiative seeks to engage a diverse group of stakeholders from various disciplines and backgrounds in inclusive, constructive, public discourse on best practices for improving relations between law enforcement and the communities they serve. Leading scholars, community leaders, youth leaders, social service providers, law enforcement officials and experts on policing policy and criminal justice reform will facilitate discussions which highlight the strengths and vulnerabilities of communities in relation to policing. Stakeholders will work to identify best practices for ethical, police-community engagement. Discussions will represent a diversity of perspectives on issues of justice, race and policing, and will be informed by cutting-edge, evidence-based scholarship. The Bridging initiative will utilize various mediums of engagement, including student-organized theater and performing arts productions, demonstration workshops and lectures, culminating in a multi-stakeholder conference to be held on Friday, May 6th. 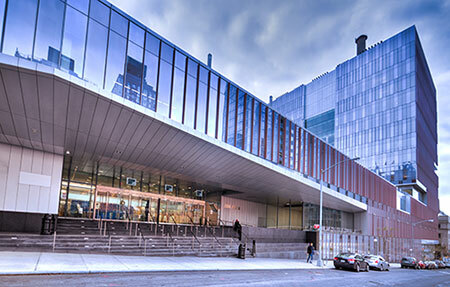 A convening of John Jay students and faculty, law enforcement officials, elected officials, media representatives and leaders of nonprofit organizations and advocacy groups to discuss a broad range of topics relating to justice and policing. The conference is fee of charge and open to the public. RSVP for the Luncheon is required. Please click here, for more information about the various panels and forums.